View cart “Home Decor Gift – Ceramic Frog” has been added to your cart. 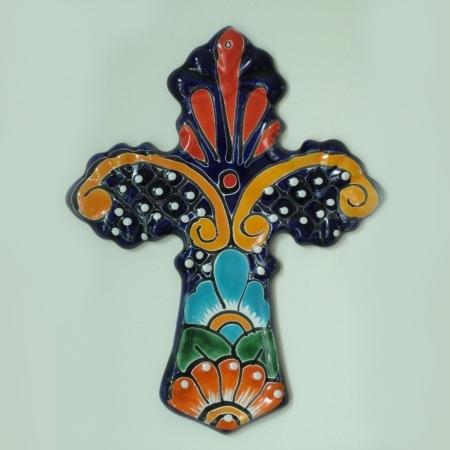 Get the latest news on Mexican interieurs and Talavera products directly from the experts of La Tienda Store! This cheery Talavera cross is not only a unique accessory to our interior, but also the symbol of the many colored culture, religion and history of Mexico. A pinch of Mexico planted right into our home! 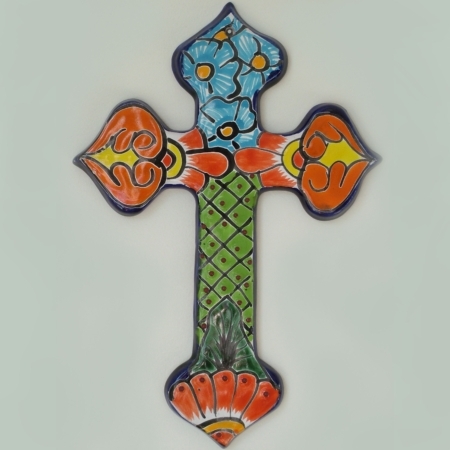 Our Talavera crosses are decorated with typical Mexican colors and patterns, and are manufactured and painted all by hand according to the centuries-old tradition of Talavera-making. 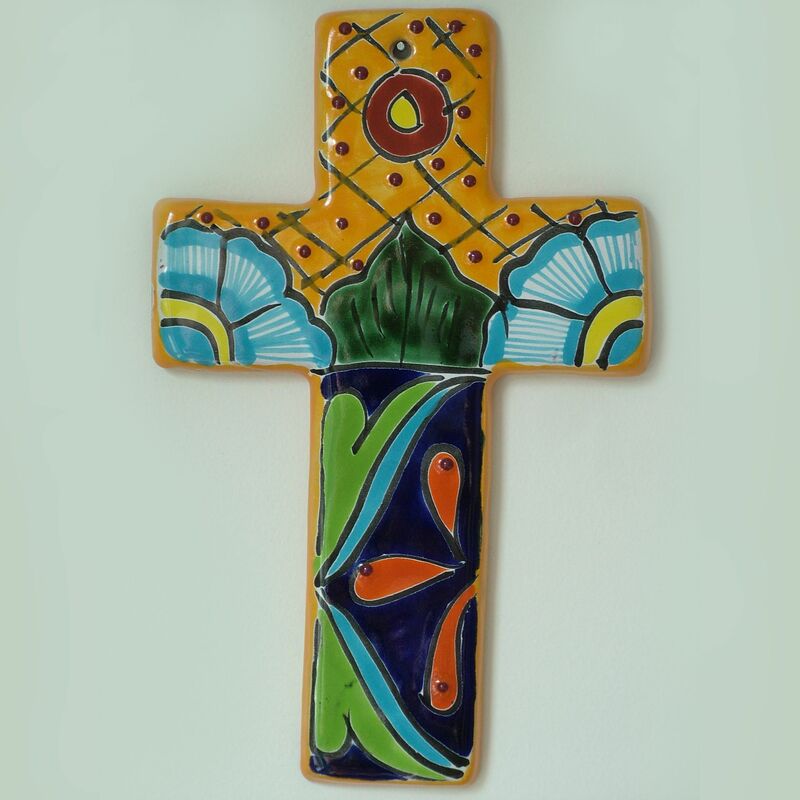 Being an important symbol of deeply religious Latin-America, the cross has naturally been an inspiration for Talavera artisans, too. One of the main characteristics of hand manufacture is that there are no two similar pieces, thus you may find differences in color or pattern – but never in quality! All products distributed by La Tienda are original and of guaranteed quality. 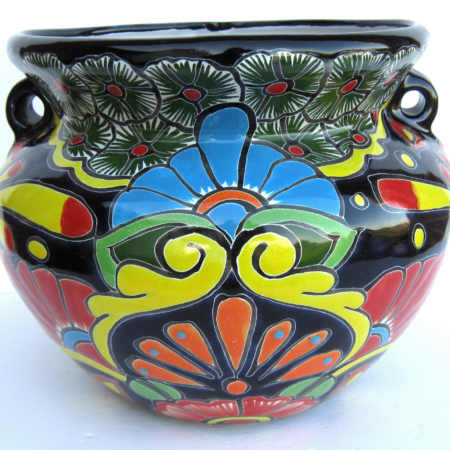 Regarding the art of Talavera-making and other background information please check out our website or contact us directly with your questions! Please click here for our TERMS OF PAYMENT AND SHIPMENT!